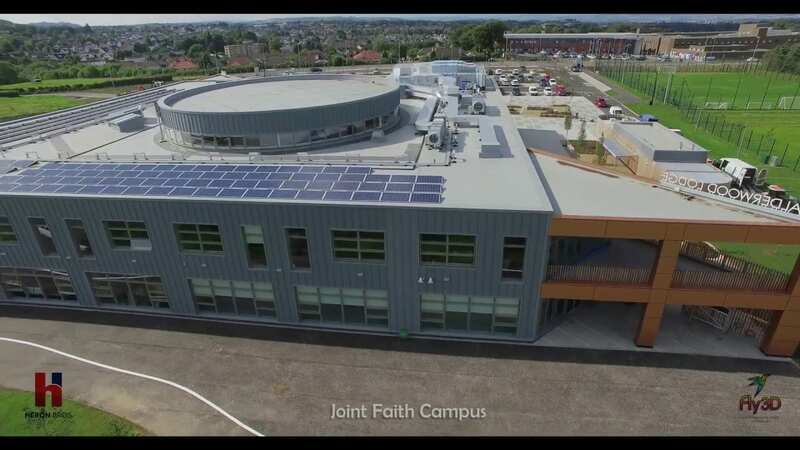 Faith Schools' Joint Campus | Building, Construction, Engineering & Property Development | Heron Bros Ltd. 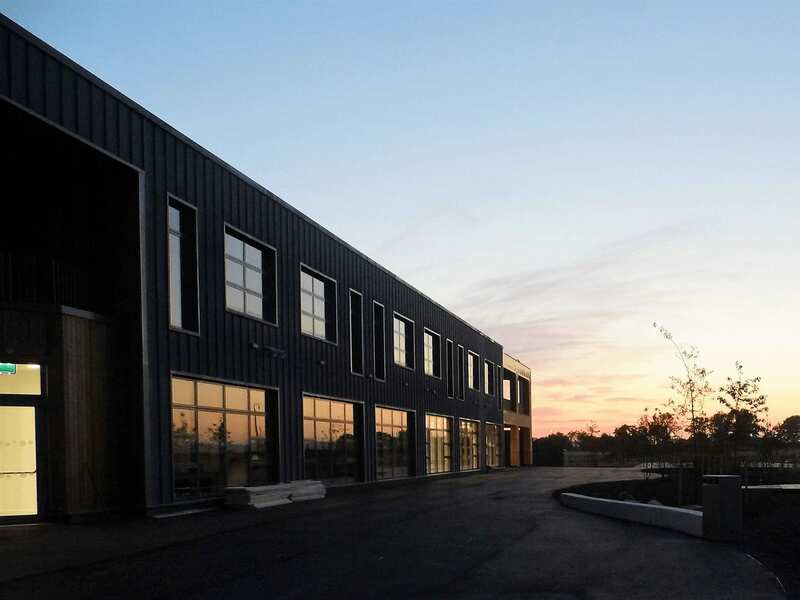 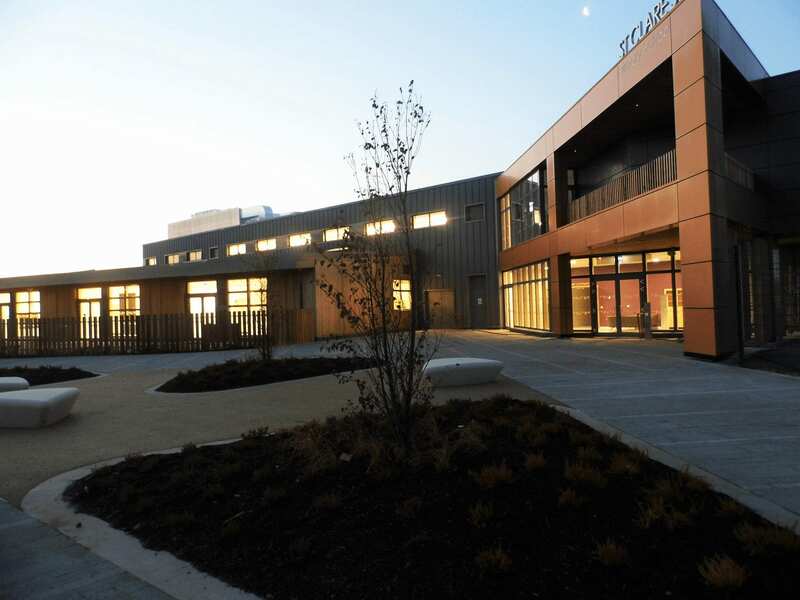 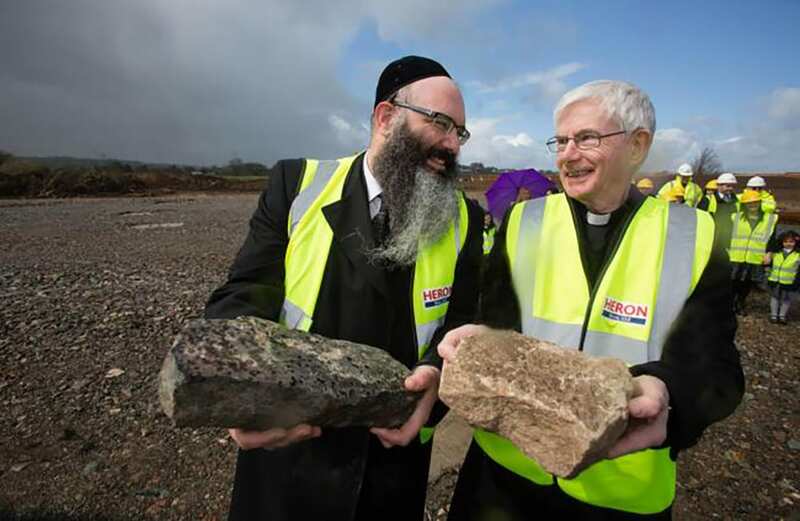 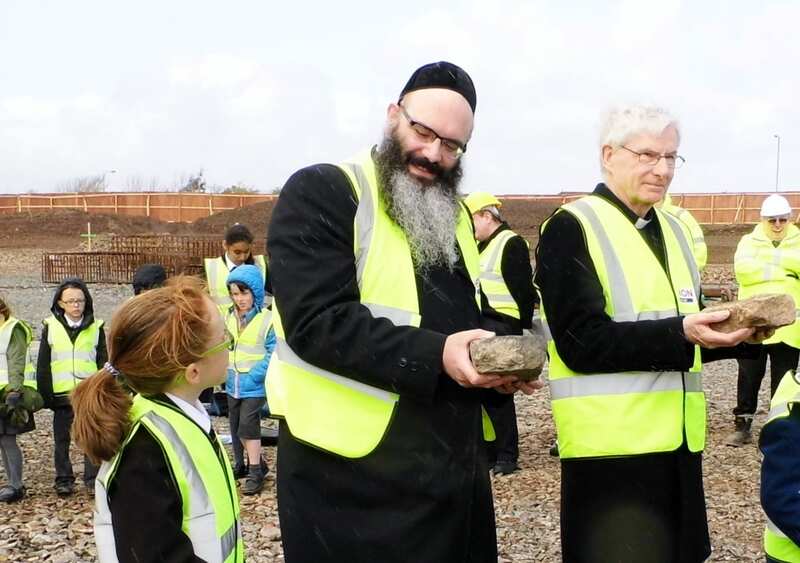 In what is considered to be a world-first, Heron Bros has completed the design & build state-of-the-art Faith Schools’ Joint Campus which serves both the Catholic and Jewish faiths. 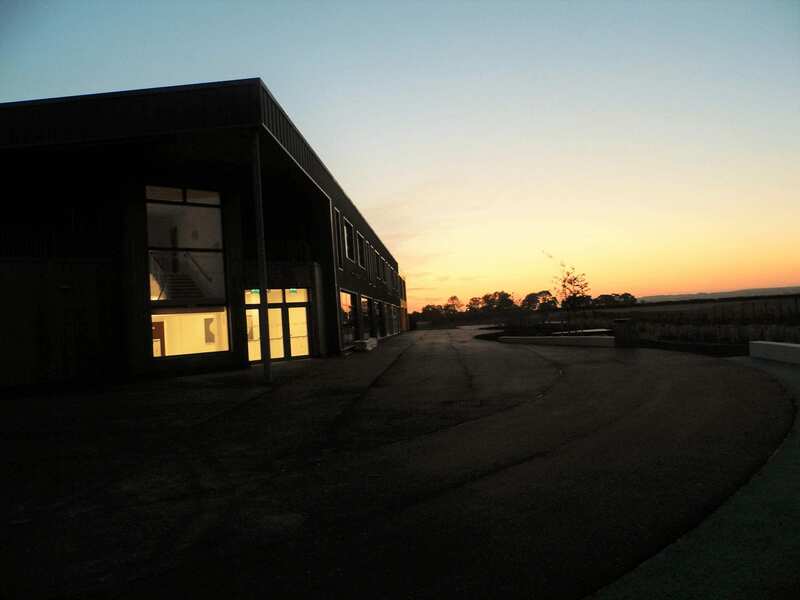 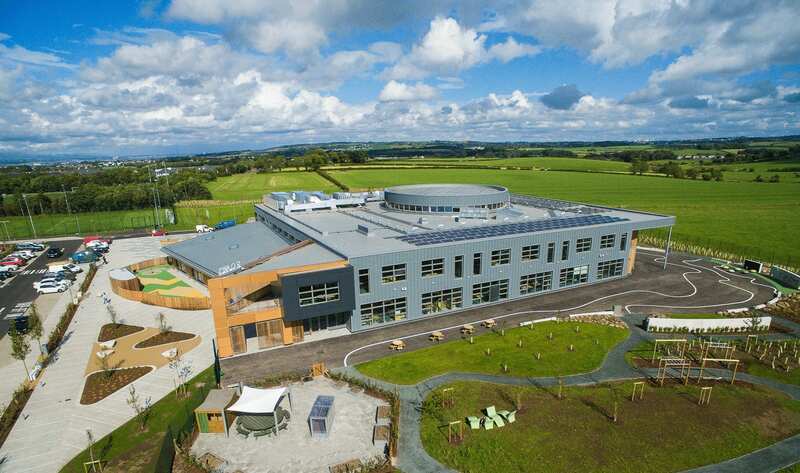 The £13.8m campus in Newton Mearns, East Renfrewshire brings together two purpose-built denominational primary schools with provision for a nursery. 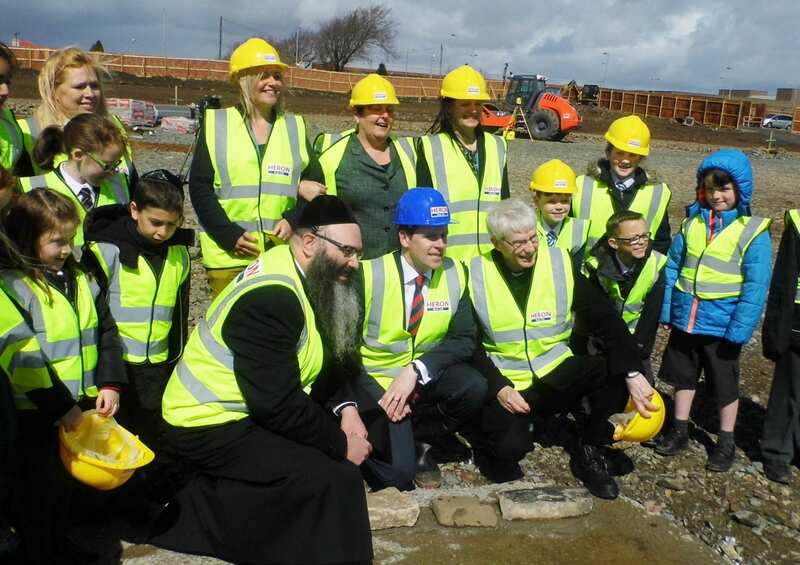 The project serves as a replacement for the existing Jewish school, Calderwood Lodge, and an additional primary school for the Catholic community. 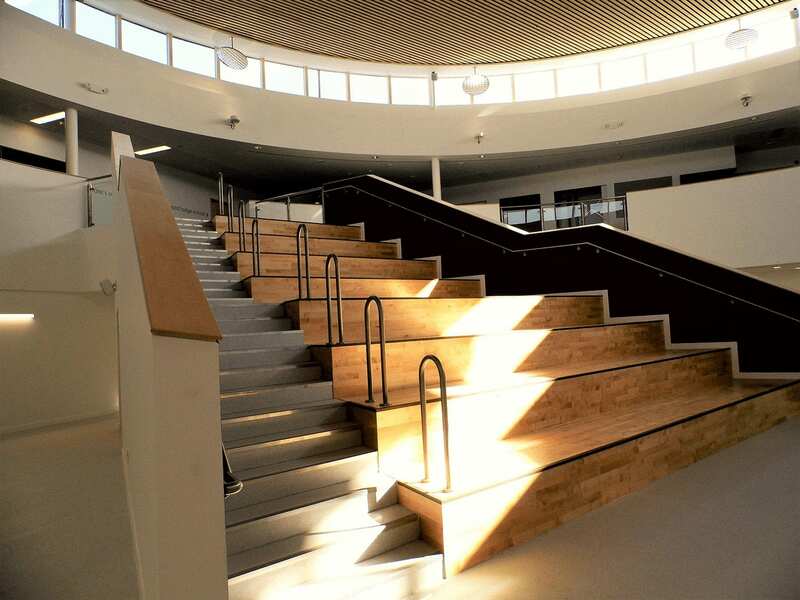 Both schools have separate entrances, teaching wings and head teachers, however, a shared central space revolves around an amphitheatre, which is designed to be a flexible meeting place for children from both primaries that’s neither an assembly hall or a classroom. 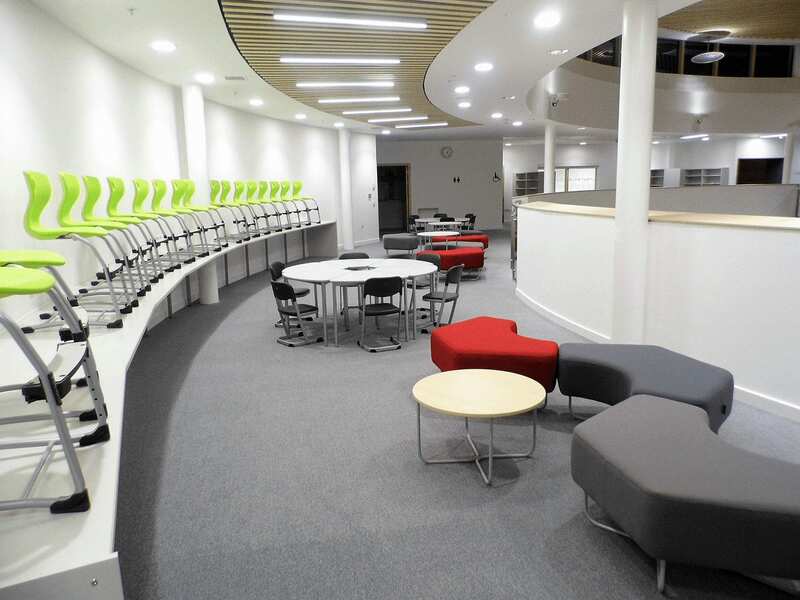 The school includes an innovative interactive space at the centre of the building with first-class ICT facilities, full Wi-Fi coverage and a range of small and larger group learning zones. 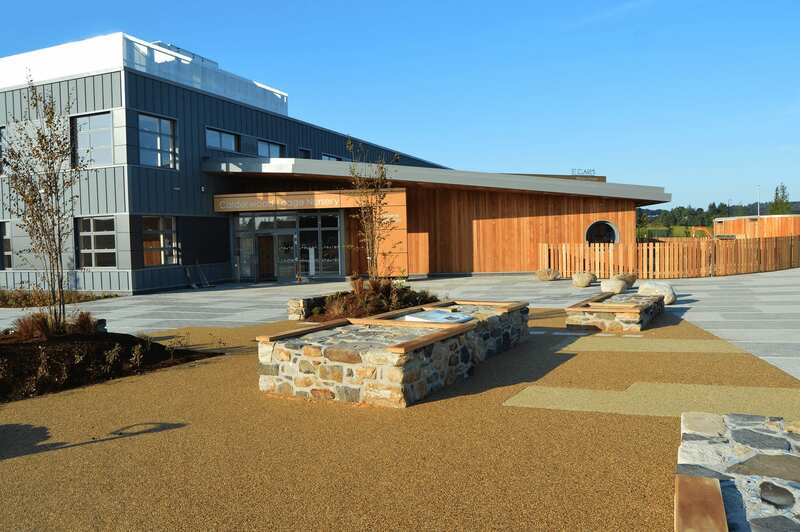 The nursery class and the playground is shared, as well other facilities, such as sport, art, science and music/drama. 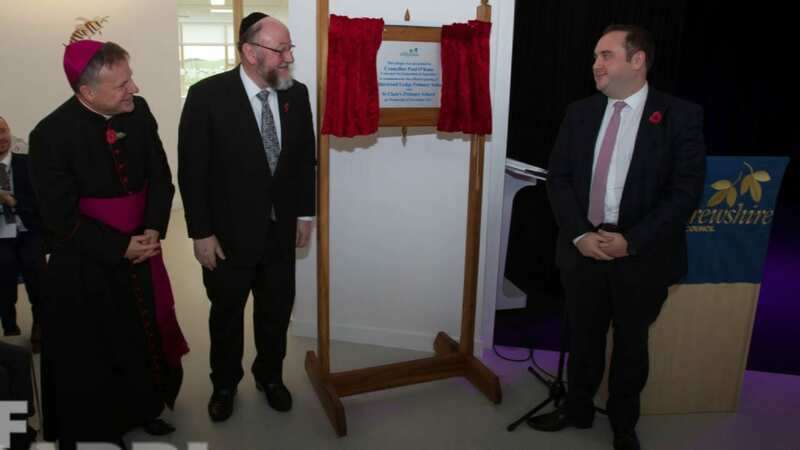 Kosher catering and dining facilities are provided for Calderwood Lodge. 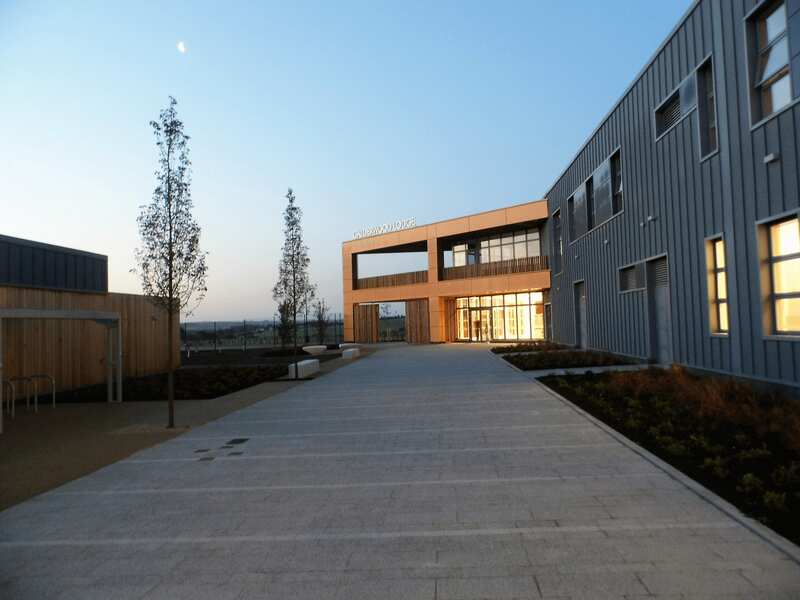 This new build primary and nursery school, constructed on a green field site is founded on trench filled foundations, overlain by traditional reinforced concrete pad foundations. 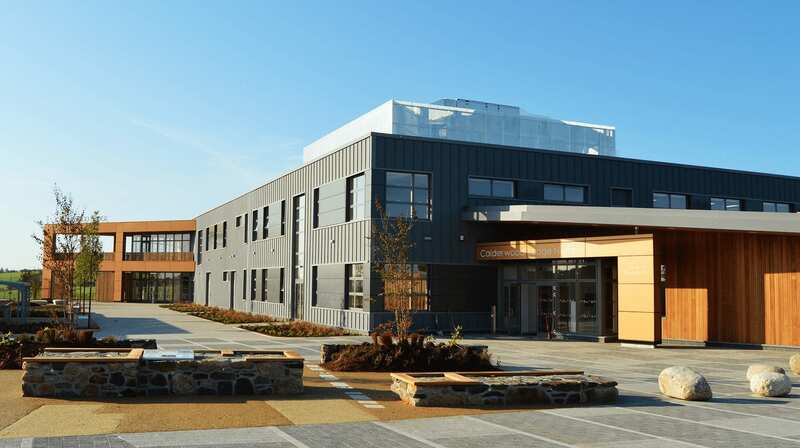 The main frame is structural steelwork with an external envelope consisting of SFS and cement board overclad with a mixture of Zinc Vieo and Alucobond cladding to the walls, and a structural metal deck overlain with insulation and a single ply membrane to the roof. 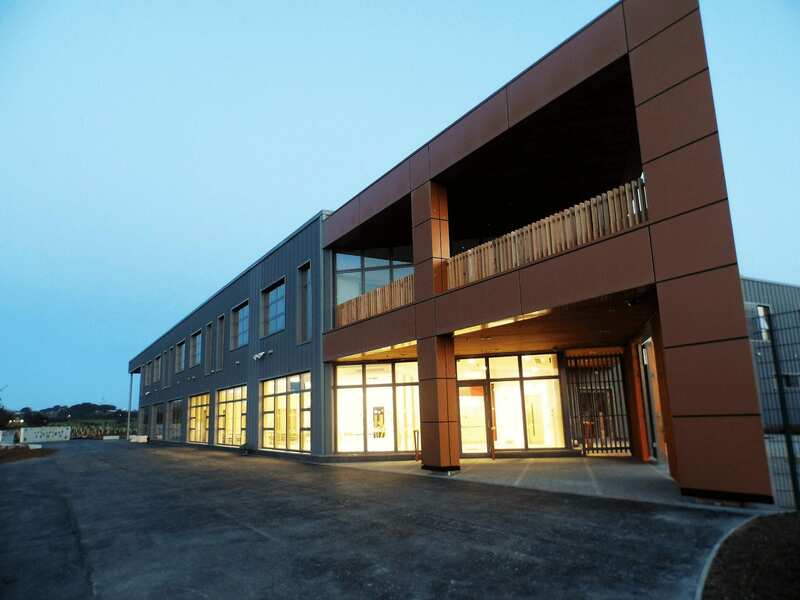 The nursery has a structural steel frame with SFS/ Cement board walls overclad with Cedar and a zinc standing seam roof. 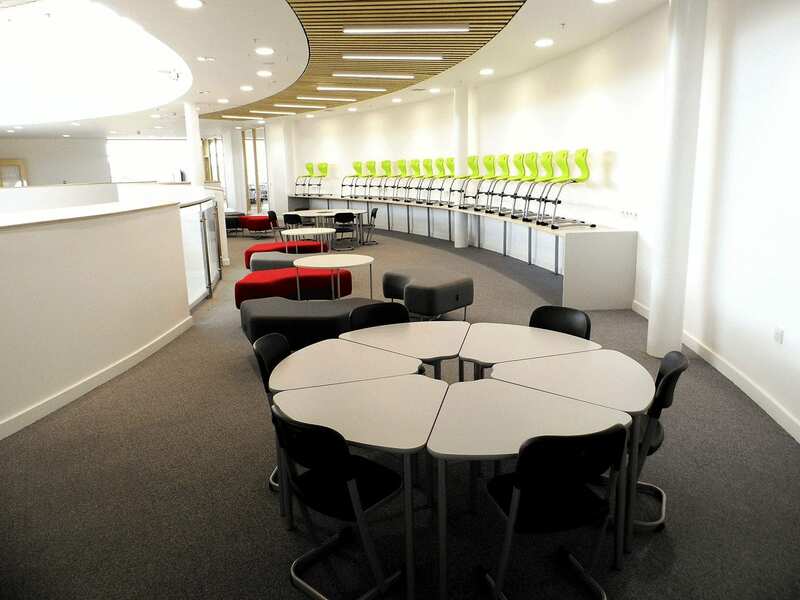 The ground floor is a suspended reinforced concrete structure which incorporates a reinforced concrete ground beam at the perimeter, while the upper floors are composite metal/ concrete decking. 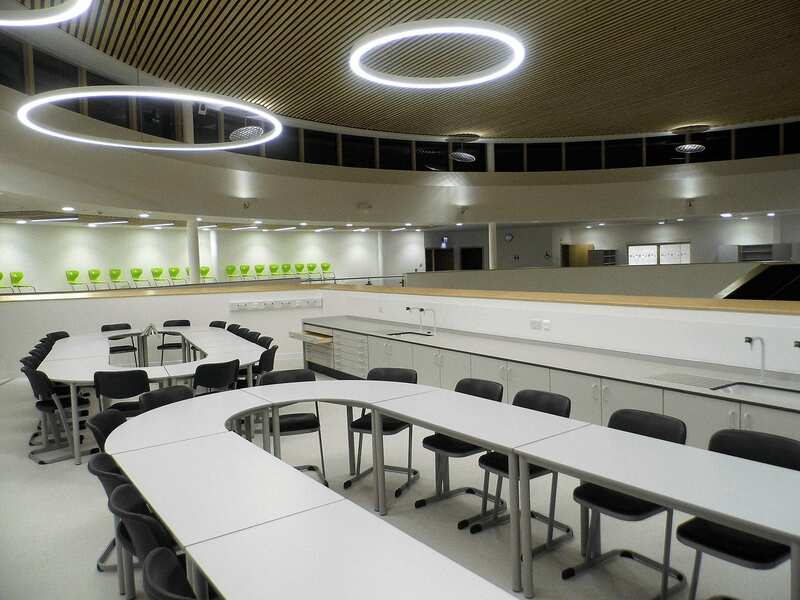 Internal walls are metal studwork with drylined plasterboard and ceilings are a mixture of suspended demountable grid & tile and metal frame with plasterboard. 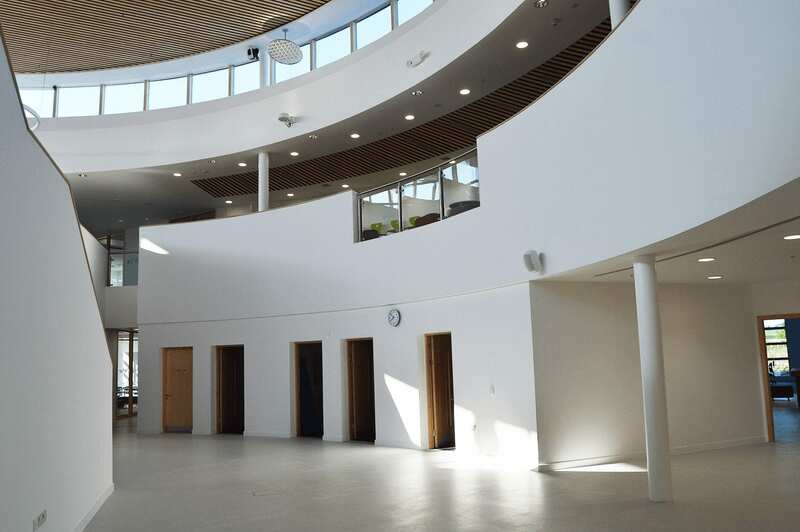 A high level of natural light is maintained throughout the building through use of large timber/ aluminium composite windows around the perimeter, particularly in the classrooms, and clerestory glazing above the atrium. 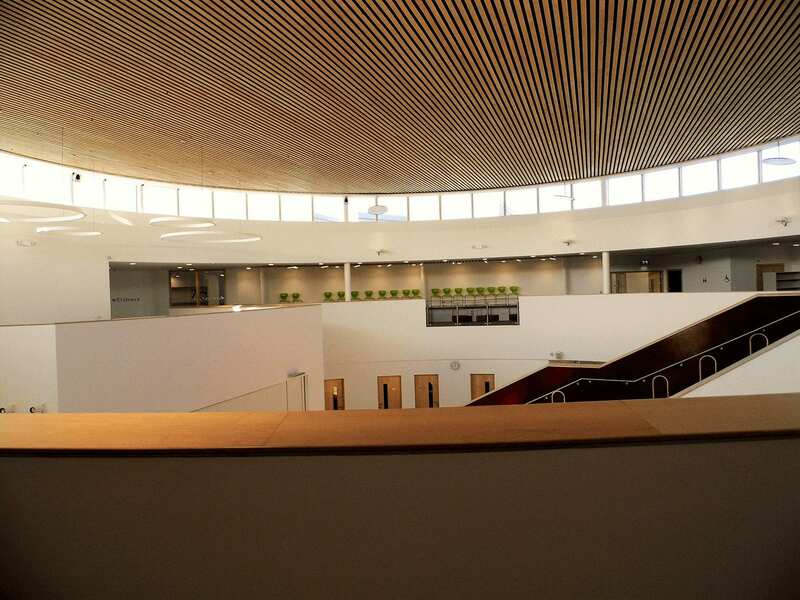 Rooflights provide additional natural light to a large are of internal space. 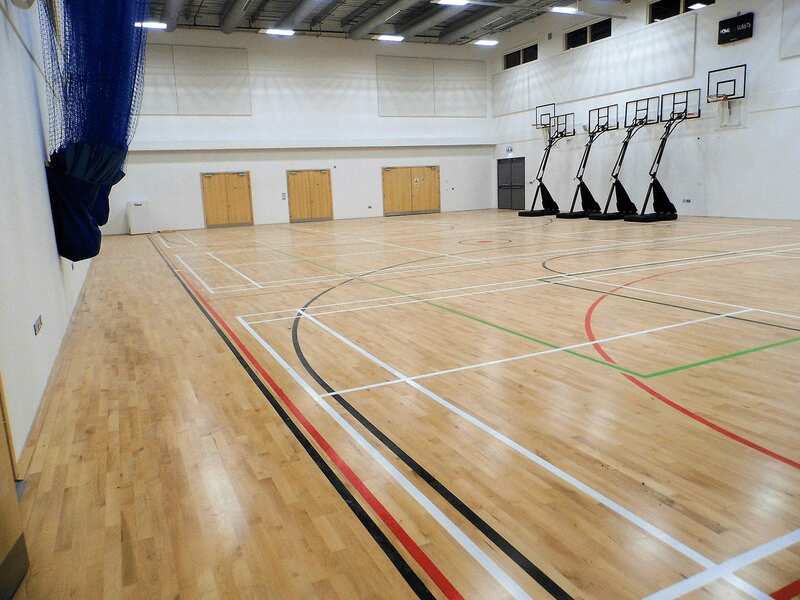 Floor finishes are a mixture of vinyl and carpet tiles, which have acoustic properties in critical areas, throughout the majority of the school, with a timber floor in the Sports Hall and Atrium feature terrace. 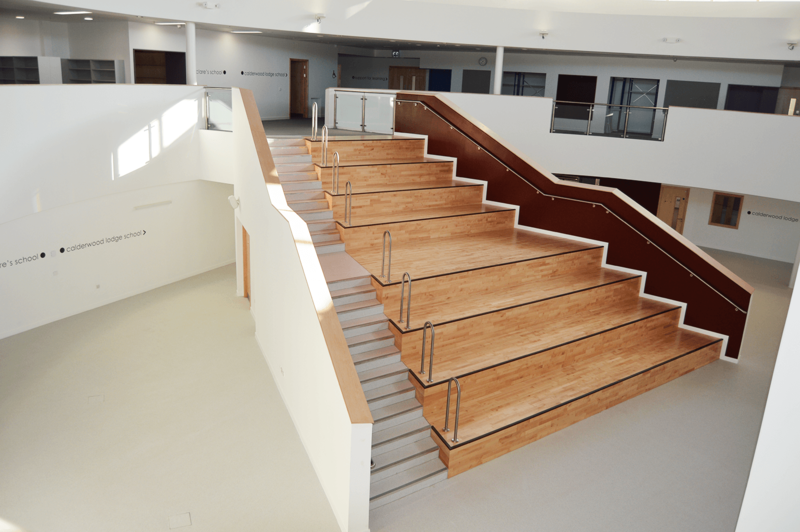 Additional features include a multi purpose assembly/ sports hall with retractable seating, an open atrium which is designed to serve multiple functions including drama, dining and break out learning spaces, outdoor terraces which provide alternative teaching accommodation. 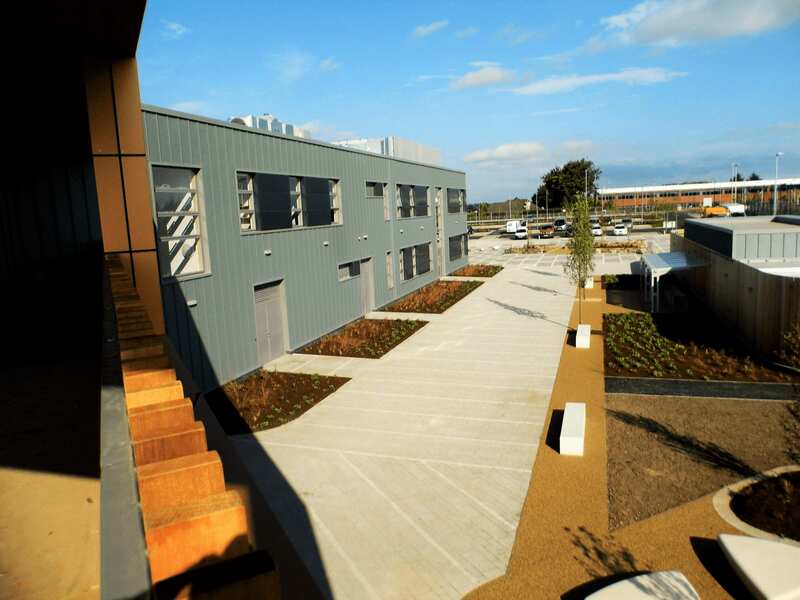 Externally, the finishes consist of a combination of high specification modular paving to pedestrian areas, porous paving to car parking and asphalt access roads. 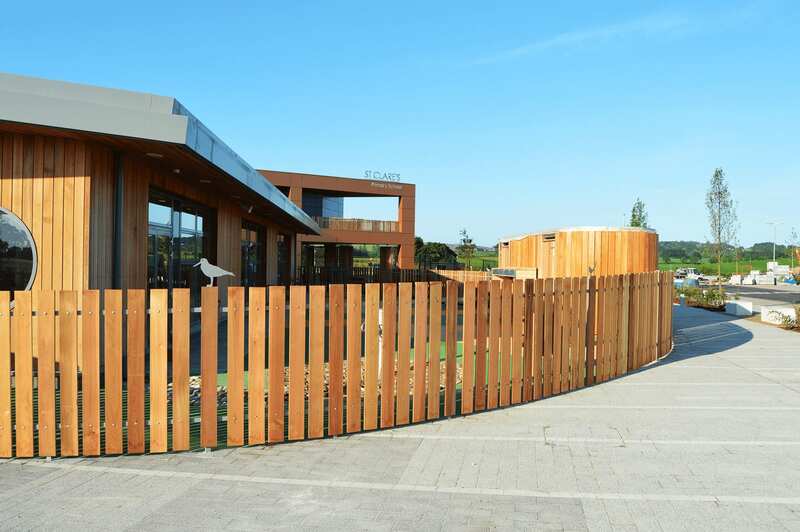 Play areas include a 3G pitch, a grass pitch, an all weather multipurpose pitch and a soft play area at the nursery. 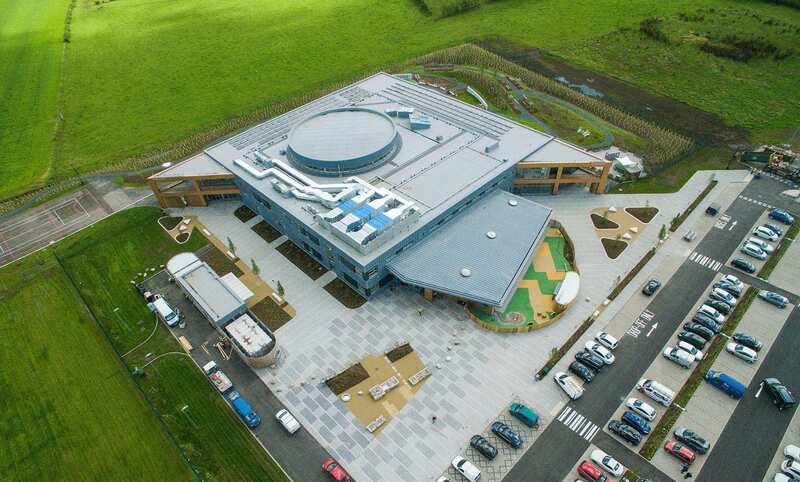 Extensive planting and landscaping has been provided throughout the site. 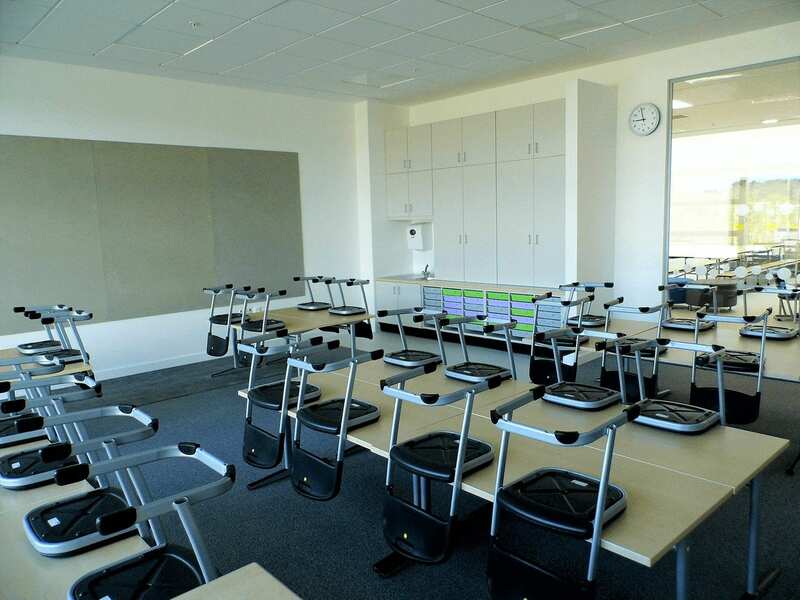 The project once again places Heron Bros at the forefront of providing innovative, high quality education services in Scotland. 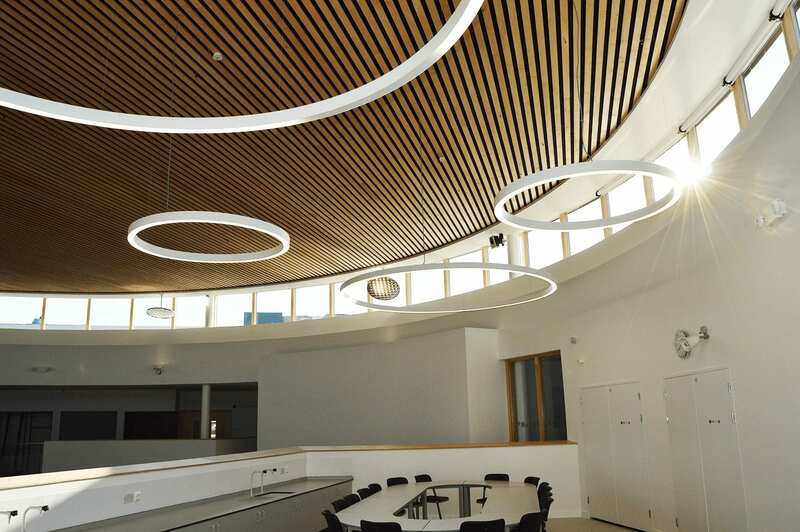 "Children, staff and parents were heavily involved in shaping the design. 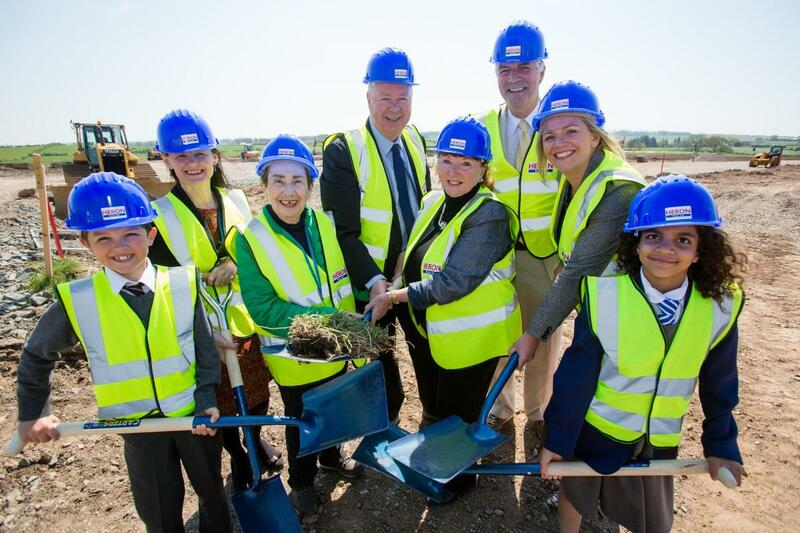 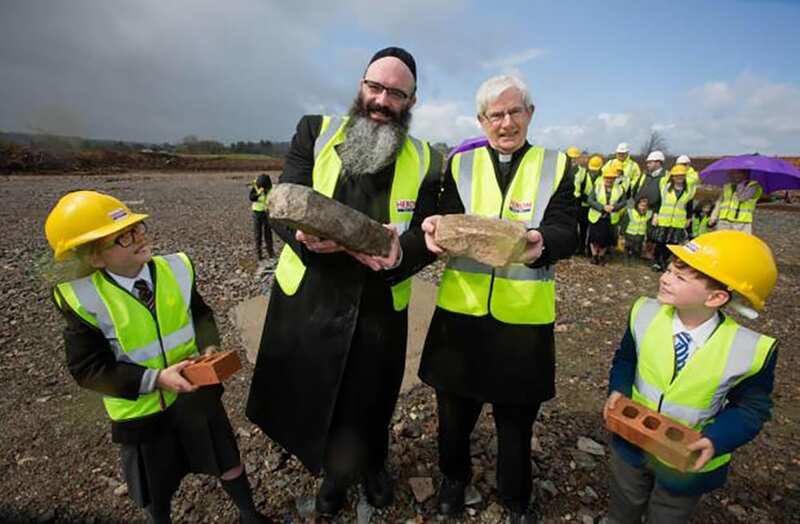 We are delighted with the end result, which has not only provided two school communities with state-of-the-art learning facilities, but will also bring these two faiths together and enrich the learning of our pupils through their shared experiences."